Last Easter Kaye was 2 1/2. We did a practice egg hunt in our backyard and she wasn’t into it. So I came up with a different idea… a scavenger hunt. Kaye was obsessively into Disney princesses. 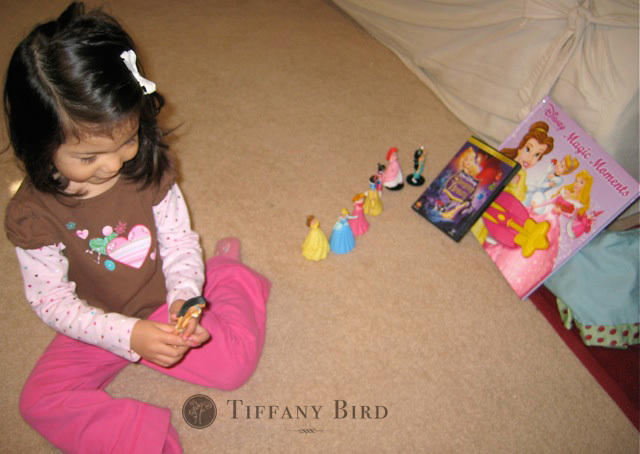 We got her a set of Disney princess figurines when she was potty training. But the set didn’t come with Pocahontas. So I searched all over the internet and finally got a hold of a Pocahontas figurine. I waited until Easter to give it to her. The night before Easter, I hid all eight princesses, including Pocahontas, throughout the house. Then I drew pictures of each of the location where the princesses where hiding. She wasn’t old enough to read, but she could identify pictures and match it to things we had around the house. Then I placed the clues in order, leaving Pocahontas last. It also eventually led her to the stash of Easter goodies. She had so much fun, the next day she asked me to hide all the princesses again so she can use the clues to find them. And my previous post has ideas of what to put in their Easter baskets. Hide their Easter basket filled with goodies and draw a map leading them to it. For older kids, have them decipher codes to figure out clues to where things are hidden. Do a challenge or team building activity to earn eggs with clues to the hidden basket. » Tell me… What are some of your Easter traditions? What do your children like to do to celebrate Easter? That’s a good idea my kids love stuff like this. 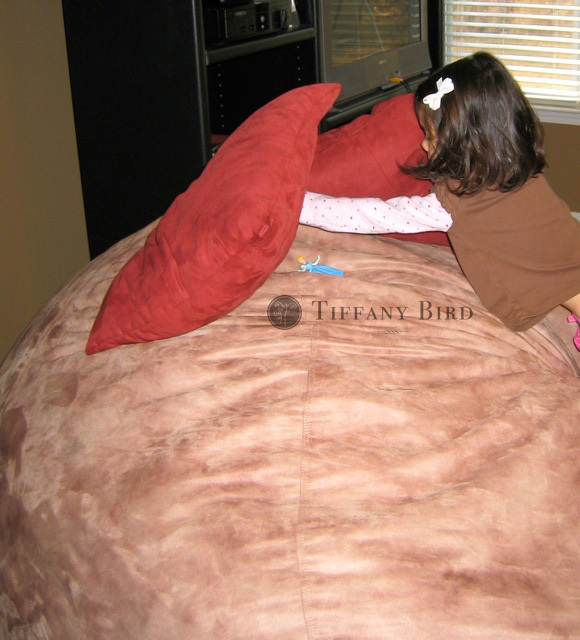 Cute idea Tiffany! I hope you had a fun time with your family in town!